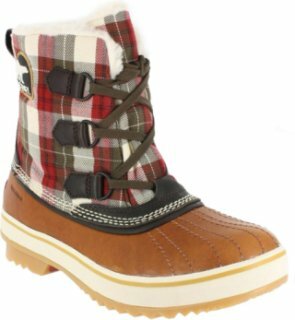 Colorful and rugged durability is what you will find in these Women's Tivoli Plaid Boots. The waterproof shell is lined with 100 grams of Thinsulate and a full fleece lining for insulation you can count on in cold weather. Built for the cold, the blend of a lightweight urban shoe with the warmth and protection of an original Sorel snow boot. The result redefines functional cold-weather fashion.